The search was held in a tax evasion case. 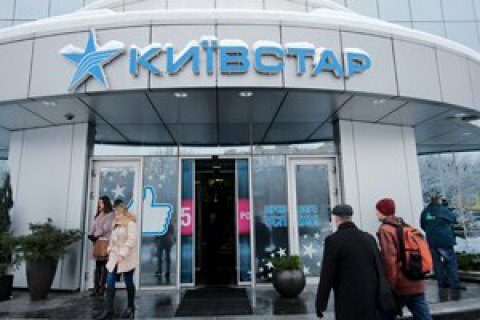 The head office of Kyivstar, one of Ukraine's leading communications operators, was searched on 4 January, its director-general Petro Chernyshov has said on Facebook. "Around three dozen tax police officers came to our head office this morning. This entire brigade went through security, having simply opened our turnstile, and showed a resolution of the Kyiv Shevchenkivskyy district court authorizing the search of our office. There were as many as four tax majors among them!... What was such a big group looking for? Three agreements signed long ago by the company's previous management and no longer effective, and a couple of dozen supplements to them," he said. Chernyshov also added that the company had been in litigation with the State Fiscal Service "which believes that Kyivstar underpaid a record sum of nearly 1.5bn hryvnyas to the budget of Ukraine". "We believe that this case was made up because the company has always paid all taxes and duties to the country's budget on time and in full. It is for a reason that we are called tax payer No1 in the industry," Chernyshov said. The State Fiscal Service said that the search was held within the framework of a criminal case on the tax evasion worth around 2.4bn hryvnyas "to confiscate the documents of objective significance to the criminal proceedings". The State Fiscal Service said the search was held strictly in line with the Code of Criminal Procedures. The Antimonopoly Committee fined Kyivstar 21.3m hryvnyas on 14 December 2017.